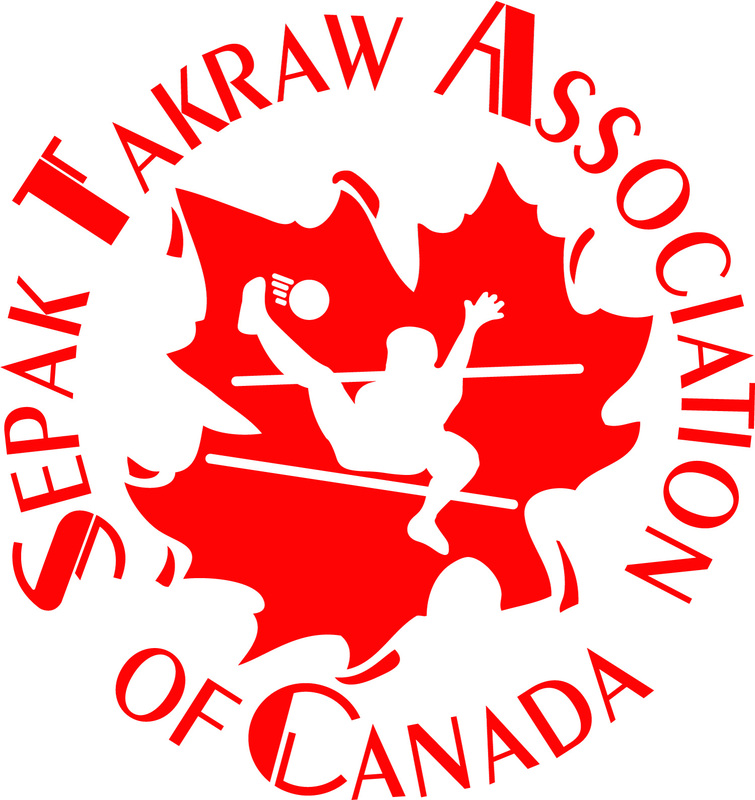 With their already established marketing network, STAC's main corporate sponsor, NETPRO® SPORTS, has agreed to help the SEPAK TAKRAW ASSOCIATION OF CANADA (STAC) sell our promotional products (along with the instructional materials on the 'Resources' page), and set aside the revenue for STAC, free of any commission. To purchase any of these Promotional Takraw Products quickly and easily online, and help STAC raise funds for its Program/Coaching/Officials Development, just click on the product name or picture. - Red, White & Gold Takraw Flag Lapel Pin. - The Canadian flag with the Sepak Takraw Association of Canada's (STAC) spiker inside the maple leaf logo in the middle of the flag. - A great gift item... already a favorite among collectors. - All proceeds go to the STAC to help build up the sport and national team here in Canada. - Excellent gift for volunteers or prizes for Takraw Skills Contests or tournaments, etc. - OR RECEIVE FREE WITH FIRST-TIME TEAM MEMBERSHIP TO STAC. - Iron on or sew on to sew on to your gym bag, track suit jacket, hat, etc. - A great way to show that you are proud to be a Sepak Takraw player! - Another way to let everyone know that you are a Sepak Takraw player or enthusiast! - Colours available in: RED, ASH, YELLOW and ROYAL. - Sun Back Spiker graphic inside Maple leaf on front. 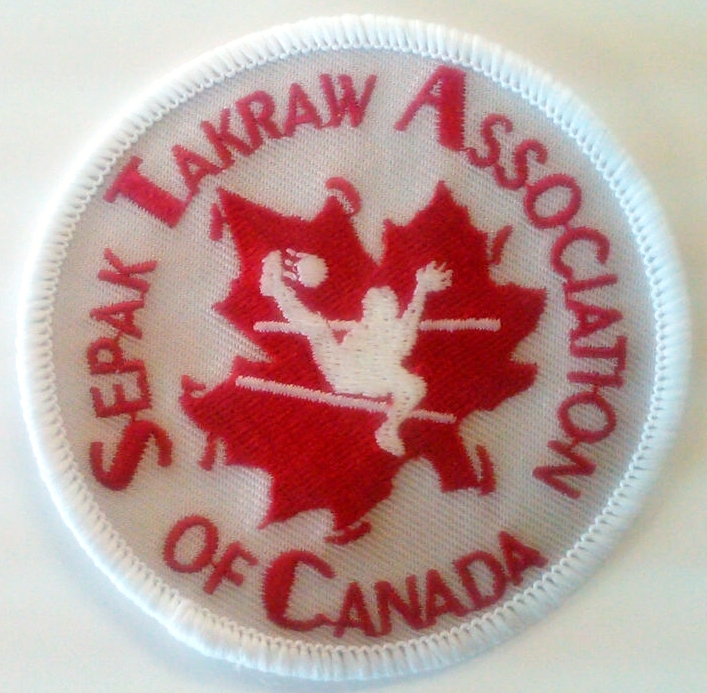 - Back of T-shirt (across shoulders): STAC Seal (spiker inside the maple leaf with “Sepak Takraw Association of Canada” written in circular form all around it) with “takrawcanada.com” written above it. - Excellent as team uniforms! - Color graphic of player spiking ball over shoulder with back to the net, encompassed in an reddish-orange and green circle, on the front. - Back of T-shirt (across shoulders): "Get Active, get Your Kicks!". - Colours available, BLACK only. - Body heat type of graphic of spiker and blocker in action over the net ... made from word "TAKRAW", backed by a red maple leaf on the front. - Colours available, ASH only. - Available in sizes S, M, L, XL. 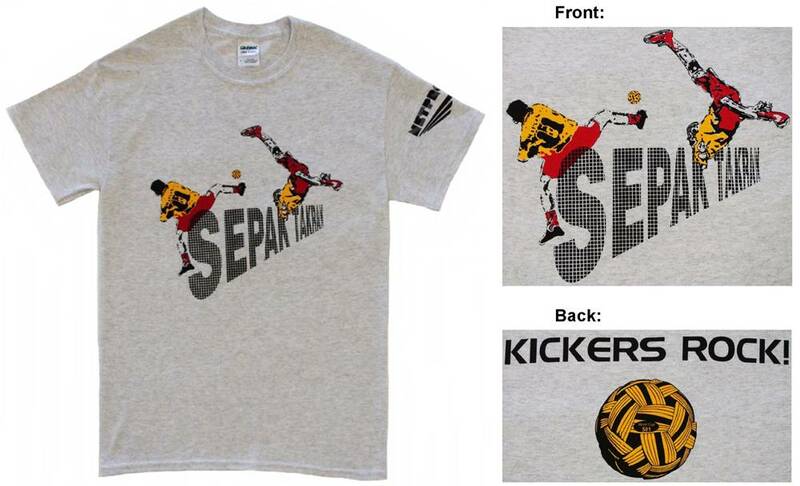 - Bright, three-colour graphic (gold,red/black) of spiker and blocker in action over the Sepak Takraw word-net on the front of the shirt. - Back of T-shirt (across shoulders): "KICKERS ROCK!" written in black text, with a gold/black takraw ball image pictured beneath. To view/purchase other T-shirts, jerseys, and promotional products online, CLICK HERE.